Watching the big game with friends? What better dip than a clone of jalapeno popper flavors? 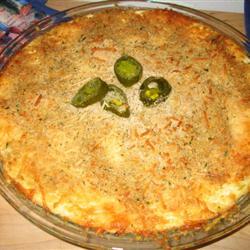 This dip is hugely popular and is much easier to make than jalapeno poppers. Double the jalepenos if you want it really hot. Do not add bacon because it does not taste good in this. Use toasted slices of French bread as dippers for the best contrast. Be warned; this will disappear! Click here for this great recipe at AllRecipes. Ha! Emily, I hear you! The reviewers say to not use tortilla chips like you’d think would be good. They agree that lightly toasted in the broiler) French bread slices are the absolute best dippers. I think that I’ll get rid of the big game thoughts and just have some of this on my own. 🙂 Wow, that looks great.